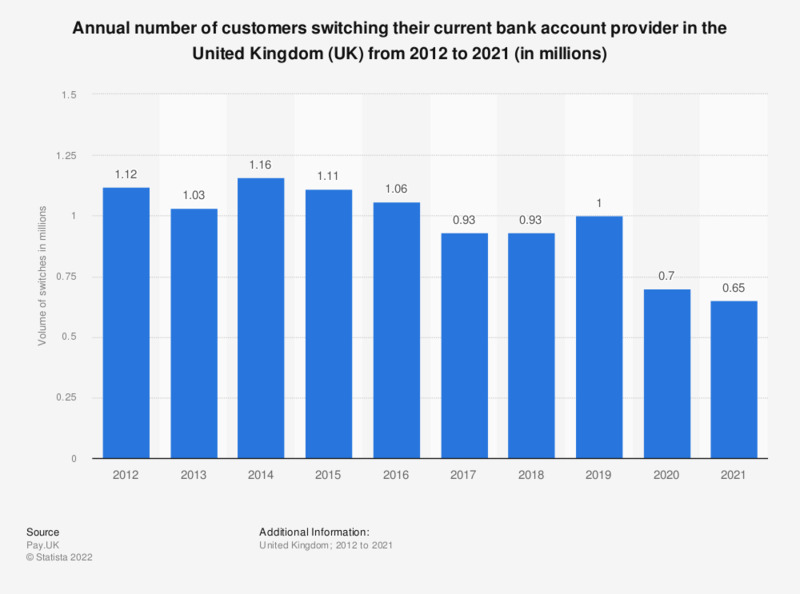 This statistic illustrates the annual total number of customers who switched their current bank account provider in the United Kingdom (UK) from 2012 to 2018. It can be seen that the number of customers switching their current bank account provider fluctuated during the period under observation, reaching a total of under one million switches in the year 2018. The largest number of switches were found in the year 2014, when a total of 1.16 million customers switched their current bank account provider.